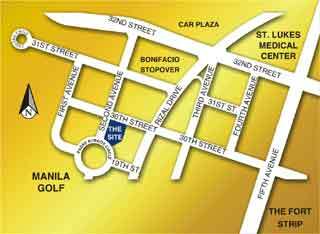 THE FORT RESIDENCES, "Enjoy the best of both worlds (Loft and Flat)" is the 3rd project of Robinsons Land Corporation (RLC) in the flourishing Fort Bonifacio Global City. Following the overwhelming success of Fifth Avenue Place and McKinley Park Residences in the US and local market, RLC believes that The Fort Residences will again attract the discerning taste of Filams/ Balikbayans/Investors alike. Through the years RLC has maintained its creativity, value driven concept, track record and its position as the leading player in the mixed-use developments. All of its projects remain on schedule and on specifications. The Fort Residences is a 28-storey modern residential tower, featuring the best of both worlds: A choice of flat and loft types, units are available in 1, 2 and 3 bedrooms. The LOFT concept integrates privacy in condominium living. Working on with the combination of space and functionality, each loft unit was envisioned to bring out that same ambiance residents have been accustomed to. Dining, living, and kitchen areas are all located on the first floor while the master bedroom is on the second level. To address the need of senior family members, a bedroom is located on the first level for two and three bedroom units. The loft’s high ceiling is designed to provide a refreshing atmosphere and enhances the residents need for cosmopolitan lifestyle living.